In carrying out its work, ERGODEVELOPPEMENT™ undertakes to use qualified and approved personnel if required. In this context, two companies in the ERGODEVELOPPEMENT™ group (Cocental and CMM) have been ISO 9001:2008 certified since 2014. 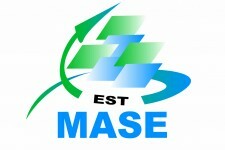 With regard to safety management, VK2M, one of the design offices of ERGODEVELOPPEMENT™, has been MASE certified since 2008. Recently, another company in the group, EGTIM, which specialises in welding, sheet metalworking, pipework and maintenance operations,has been MASE certified .